Founder of Witness to Guantánamo, Peter Jan Honigsberg shares in this guest post, the origins and significance of this project that documents the experiences of those who have worked, lived, or were detained in Guantánamo Bay, Cuba. Witness to Guantánamo’s mission is to document on film the stories of people who have lived or worked in Guantánamo Bay, Cuba. We have interviewed 158 people in 20 countries, including 52 former detainees. Others include prison guards, interrogators, interpreters, chaplains, medical personnel, civilian and military lawyers, military prosecutors, high-ranking military officials, high-ranking government officials, and family members of the detainees. We began our project because we believed that if the stories were not documented now, the memories would fade and the voices would disappear forever. We launched Witness to Guantánamo in 2008, and are completing our work a decade later in 2018; no one else in the world has done this work. With seed money from a local Northern California family foundation, we were able to travel to five countries and interview 16 former detainees during the first summer of our work in 2009. Those interviews gave us credibility. We then applied to larger foundations for continued funding. We raised more than 1.6 million dollars over the life of the project. Although we were supported by American foundations, a significantly larger portion of our funding came from foundations in the U.K.
Our powerful video testimonies capture perspectives from different kinds of people on both sides of the wire. Official U.S. government documents have never reflected many of these perspectives. Most of the 780 detainees who were held in Guantánamo were purchased by the U.S. military for bounty from Afghan and Pakistani soldiers. Former detainees told us that they were sold to the Americans for amounts between $3,000 and $30,000 each. The men were first brought to Bagram or Kandahar Air Force Base in Afghanistan, where they were brutally tortured. From there, they were flown to Guantánamo. The first group of twenty men arrived in Guantánamo on January 20, 2002. The detainees we interviewed described Guantánamo as more of a psychological torture prison, than a physical torture prison – although, of course, physical torture was always present. The psychological torture included prolonged isolation, sleep deprivation, and sensory deprivation. The detainees described how the psychological effects were more devastating that the physical torture, often continuing after they were released from the prison, sometimes profoundly affecting them for years later. Nearly all the men in Guantánamo were held in the prison without charges. Only a handful of men were convicted, and about half of the convictions were overturned on appeal. Although the Bush and Obama Administrations released nearly all of the 780 men, many had spent years—some a decade or longer—in the prison before they were released. Forty men remain in the prison today, under the Trump Administration. Of these 40 men, seven are in military commission proceedings. The commission proceedings for these men have been ongoing for more than a decade, with no resolution. In his second day in office in January 2009, President Obama issued an executive order announcing that he would shut down the prison within one year. That did not happen. Facing opposition, Obama never succeeded in closing the facility throughout his administration. We heard many incredible and surprising stories from the people we interviewed over the decade. A former prison guard told us that he became Facebook friends with former detainees that he used to guard at the prison. He then flew to London to meet and embrace the men. A military prosecutor told us that after realizing that the juvenile he was prosecuting in Guantánamo had signed a confession in a language he did not speak and could not read, the prosecutor left the military base in Cuba and entered a monastery. A human rights lawyer who had dedicated herself to representing the detainees in Guantánamo became so stressed and traumatized by her work that she quit and moved her family and herself to another country. The interrogator known as the “King of Torture,” apologized three times for his actions during our filmed interviews with him. We were not journalists looking for sound bites. We were filming the stories for history, and to create a public record. We emphasized to all the interviewees that we had no agenda. People were free to tell their stories in their own words for as long or short as they wanted. One person interviewed for six hours over two days. Another spoke for 20 minutes. The average was two hours. At first, we worried that by telling their stories the detainees could be re-traumatized. Fortunately, the opposite occurred. Many of the former detainees expressed relief at the end of the interviews. They found the interview experience therapeutic. They thanked us for the opportunity. The University of Southern California Shoah Foundation was our inspiration. Established in the 1990s, the Shoah Foundation documents the Holocaust, as well as serves as a response to Holocaust deniers. Over the years, the Shoah Foundation has filmed interviews with more than 52,000 survivors. My father was one of the survivors who told his story on camera to the Shoah Foundation. Witness to Guantanamo’s filmed interviews are housed in perpetuity at the Duke University Human Rights Archive. The university will preserve and update the interviews as technology evolves, and post most of them on the Internet. Because of restrictions, a few interviews will only be available on a dedicated computer at Duke. Excerpts from the interviews are available on our website. Peter Jan Honigsberg, professor at the University of San Francisco School of Law, has written a book about his work as founder, director, and interviewer for Witness to Guantánamo. The book will be published in fall 2019 by Beacon Press. 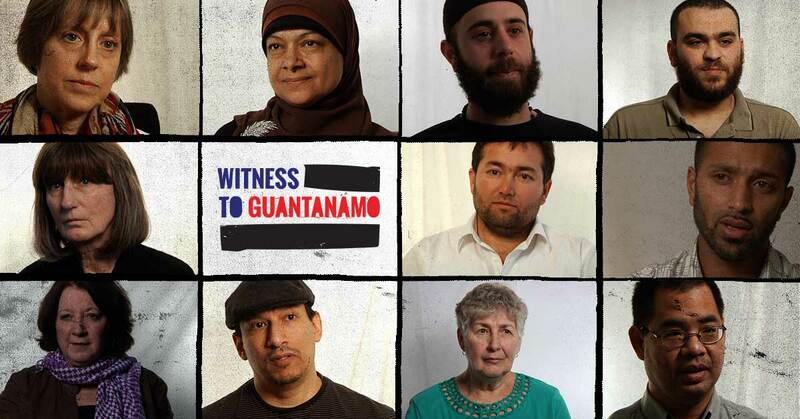 Please follow the project on Facebook, YouTube and @WITNESSTOGTMO on Twitter.